Successfully Added Android Smart Watch "V Strike" - 1.54 Inch Screen, Dual Core CPU, Bluetooth 4.0, Wi-Fi, GPS (White) to your Shopping Cart. 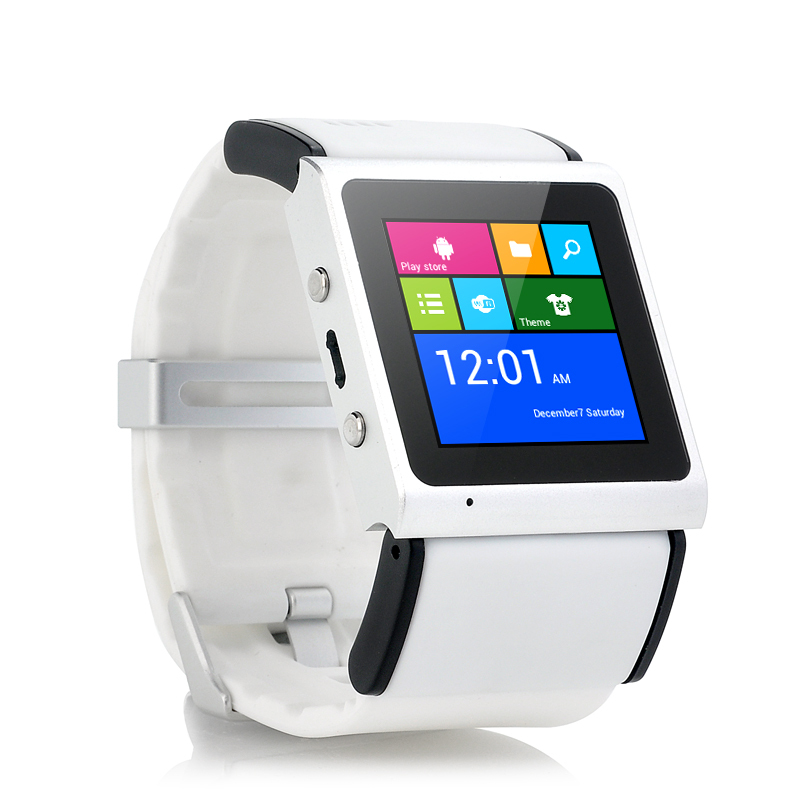 Android Smart Watch with 1.54 Inch Screen, 1GHz Dual Core CPU, Bluetooth 4.0, GPS, Wi-Fi and more. Wear your phone around your wrist. The “V Strike” Android Smart Watch is the perfect example of what the future of mobile phone technology has to offer. Not only does it allow you to wear your phone around your wrist, it also offers you a magnitude of extra features such as Wi-Fi wireless internet, GPS navigation, Bluetooth 4.0 and so much more. Fitting comfortable around your wrist, the “V Strike” is not much bigger than a watch and packs a Dual Core CPU for an unseen fast user experience. From the lock screen, apps can quickly be accessed by swiping in a certain direction. For example, when unlocking the “V Strike”, a simple swipe from top to bottom will open the music player and using the included pair of high quality headphones, your music will accompany you everywhere. A microphone and a speaker are built-in in the Smart Watch and using the 3MP camera, you will be able to snap a quick picture and even record video. Furthermore, a custom launcher comes pre-installed, giving this Android 4.0 watch a very distinct look and a free stylus pen is included which can be used on the “V Strike” watch and also to write messages with. Now in stock, the “V Strike” Android Smart Watch with 1.54 Inch capacitive screen can be shipped out within one working day and comes with a 12 months warranty. Brought to you by the leader in wholesale Smart Watches, Chinavasion.